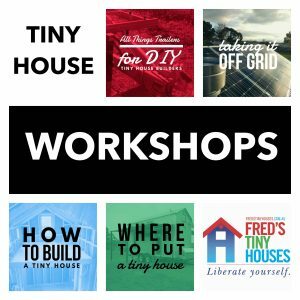 When you buy a tiny house from Fred’s Tiny Houses you can be confident it is built using Fred’s innovative Unified Construction Method™ ensuring it is safe to tow and comfortable to live in all year round. 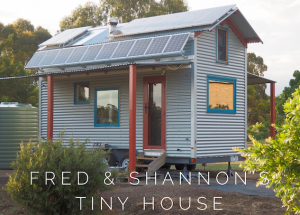 Each tiny house vehicle that we make is unique because it is personalised to the individual(s) using it. Fred works closely with you to ensure you get a design that suits your needs, values and budget, making each house individual, strong, lightweight and, of course, beautiful. In 2019 we will limit our production to tiny house shells. We will recommence building complete tiny houses in 2020. Enter the housing market with a tiny house on wheels. Get off the rental tread-mill and own your own home, while working less and living more. While aesthetic beauty may not be your reason to go tiny, it helps inspire us here at Fred’s Tiny Houses to create cozy. 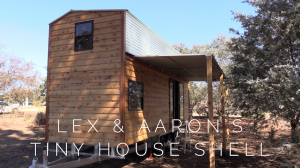 Connect with family and reduce your housing costs by living in a tiny house on wheels. 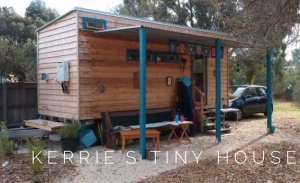 Meet Kerrie who loves living in her tiny house in her daughter’s back yard. Extensions are so old school! Give your teenager the space they need while keeping them close to the family home and providing them with housing security in the future. Get the highest return and the lowest entry available on the property market.